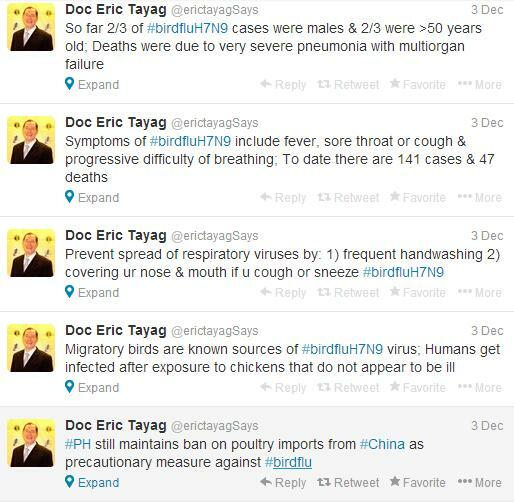 On the heels of the first confirmed human case of avian influenza A(H7N9) in a Indonesian domestic worker in Hong Kong, Philippines Asst Secretary of Health, Dr. Eric Tayag said on Twitter Tuesday, the Philippines is still bird flu free (#PH still #birdflufree). Tayag tweets that despite the newly confirmed case in Hong Kong, the Philippines Department of Health and the World Health Organization DO NOT recommend a travel ban to either Hong Kong or China. There are approximately 140,000 Filipinos in Hong Kong. 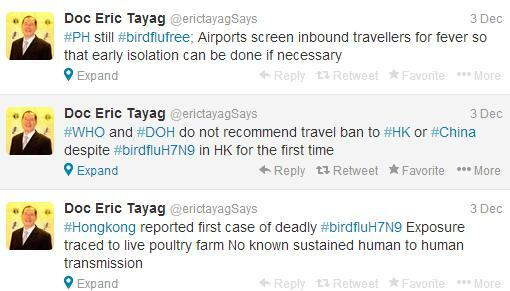 Dr. Tayag also tweeted that “Airports screen inbound travelers for fever so that early isolation can be done if necessary” and that the “Philippines still maintains ban on poultry imports from China as precautionary measure”. 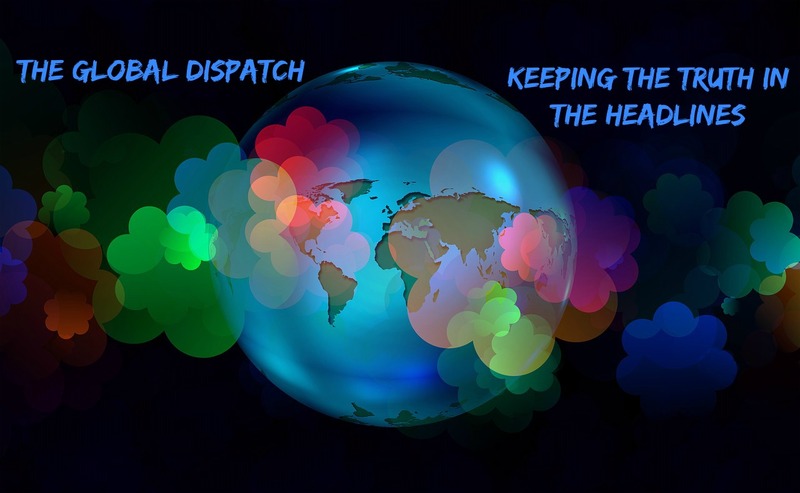 In addition, the epidemiologist and “public health servant” gives Filipinos information on the symptoms of bird flu and preventive measures one can take to avoid contracting the potentially lethal virus. The Hong Kong case brings the global total of H7N9 avian influenza to 141 cases.